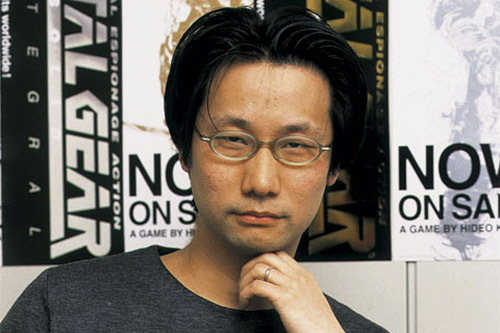 A man of many talents, Hideo Kojima is best known for his pioneering work in the stealth-action genre with the Metal Gear franchise. In a recent interview with Official PlayStation Magazine he expressed his concern with the state of the video game industry and how first-person shooters are the dominating force, making it harder for original ideas to blossom. Kojima told the mag that there are only about ten big name games that can grab the public’s attention and that Japan-centric games will find it hard to compete with them. While I agree that the FPS genre is a hard one to beat it’s also hard to master and the number of titles that can get away with incremental updates gets less every year. Take the most famous shooter series, Call of Duty. The third Modern Warfare release sold very well and floats nicely near the top of the charts but the excitement for the franchise is definitely wearing thin. I’ve hardly seen it appear in my Friends’ Lists of games on Xbox Live and the general buzz about it felt less enthusiastic than last year. Partly due to the other big military shooter and partly because gamers do look as if they want something more than an FPS. The relatively poor sales for id’s Rage eludes to this as does the fact that Skyrim took the Christmas number one spot in the UK’s all format Chart not to mention the almost universal praise of Portal 2 throughout the year. But it’s fair to say that publishers who are keen to make a quick sale will often go down the FPS route whether the game calls for it or not. And shooting in general is a mechanic that is found in the vast majority of titles. Though I would say that just because the wider audience gobble up a first-person-shooter, that doesn’t mean developers should exclusively cater for them. Yes it makes far better business sense in the short term but a great original game will resonate with the masses regardless of genre. The aforementioned Skyrim shows this as does the Assassin’s Creed series. The latter may be experiencing its own stagnation but has been very profitable and playable for both publisher and consumer. Kojima added how that a digital distribution method or even off-shoot could be a good way of getting new ideas out with less risk than traditional releases. Batman is an interesting example used because Rocksteady’s Arkham Asylum and Arkham City are two huge successes. I may not have been as wowed by Asylum, City has been a joy to play and the franchise took very big risks with the potentially repetitive combat and lack of stereotypical content. Like how there is now Batmobile in either games. If asked what a Batman game would feature before 2010, I would have expected there to be a driving level complete with a poorly handled Batmobile. For all intense purposes, you could view the Arkham series as an off-shoot to the typical Batman or indeed action-adventure-brawler game. Kojima mentioned a Metal Gear Solid title that was completely different and while Metal Gear Rising: Revengeance isn’t part of the ‘Solid’ collective, it’s still very a Metal Gear game that, from what we’ve seen, will play quite differently. I do very much enjoy a good first-person shooter and understand Kojima’s frustrations, equally wanting to experience some new and interesting ideas in gaming. Luckily, BioShock Infinite is set for to come out this year and from what Ken Levine’s team have done in the past, it should be a good combination of FPS ideas with new ways to play them. Perhaps a better way of combating the languishing genre is to take a similar approach rather than admitting defeat. This entry was posted in Casual, Commentary, Musings, Nintendo, PC, PS3, Retro gaming, Thoughts, Wii, Xbox 360 and tagged Activision, Assassing's Creed: Revelations, Batman Arkham City, Batman: Arkham Asylum, Battlefield 3, BioShock Infinite, Call of Duty Modern Warfare 3, EA, Hideo Kojima, Ken Levine, Metal Gear Rising: Revengeance, Rage, Rocksteady, Skyrim by HootyMcBoob. Bookmark the permalink.